On the non-lunch hours of a Monday afternoon, this Burmese-style noodles shop in Macau was full, with three other people waiting for their takeaway orders outside. We started talking to one lady, and she mentioned how busy this place always is, recommending the fish soup noodles. We really came here for the coconut chicken curry noodles though. So we tried both. You can see the soup base is very thick; it’s very rich in fish flavour, which is also why that lady suggested ordering it with ho fun noodles rather than egg noodles, as the former can better soak up the fish taste in the soup. I’m a huge fan of fish, so that was a good call and this was my favourite one. This is what we came for and it definitely lived up to our high expectations (having travelled MOP80 on a cab for it…). The soup is as flavourful as it looks, though the chicken meat was not excellent. I wouldn’t have expected it to be either though, since the noodles cost just MOP21! 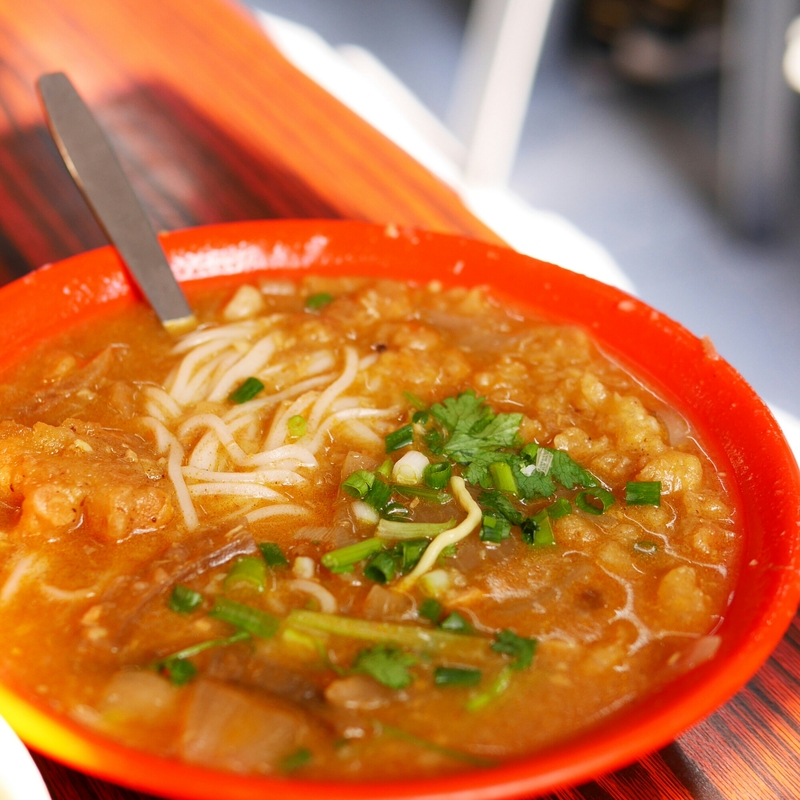 The only reason I did not mention this noodles shop in my recent post, Lazy foodie’s one-day guide to Macau, is because it’s pretty far from Taipa. Taipa is where Venetian, City of Dreams and Galaxy are. I’ve been aware of this place for a long time but this was the first time (ironically), I was not too lazy. So we took a cab from Conrad all the way to this local-style stools and sharing table noodle shop, for almost MOP80. I did recommend an alternative to this in my previous post, which is conveniently located in City of Dreams. 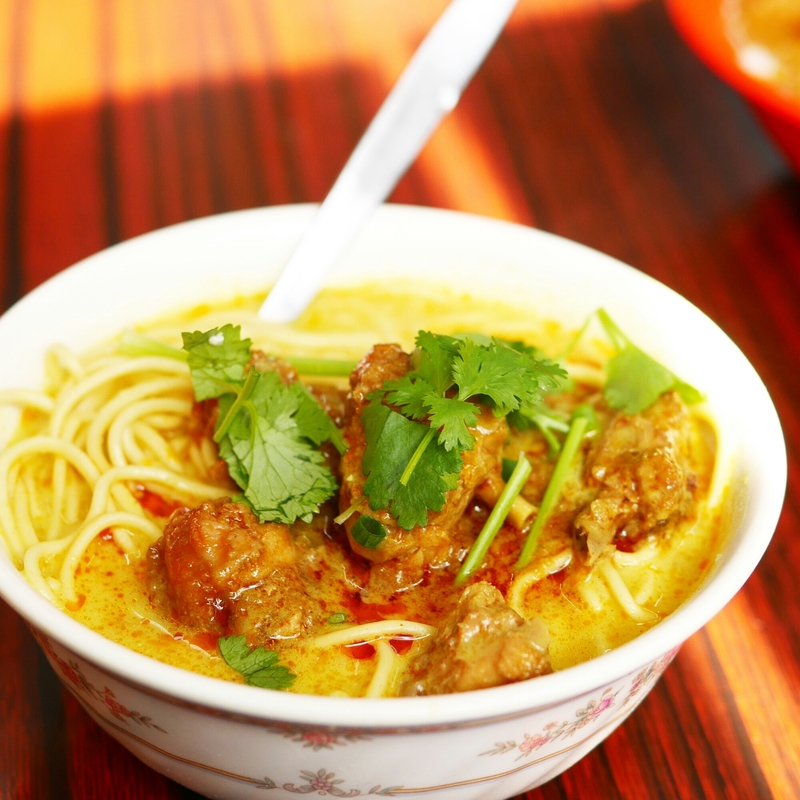 But that one only offers the coconut chicken curry version (no fish soup noodles)! 成群小食店 is located at 新橋(三盞燈/白鴿巢)嘉路米耶圓形地2號嘉樂花園2D地舖. I couldn’t find an English address for this store. The best bet is probably to show this address to the cab driver. It’s located in a roundabout.